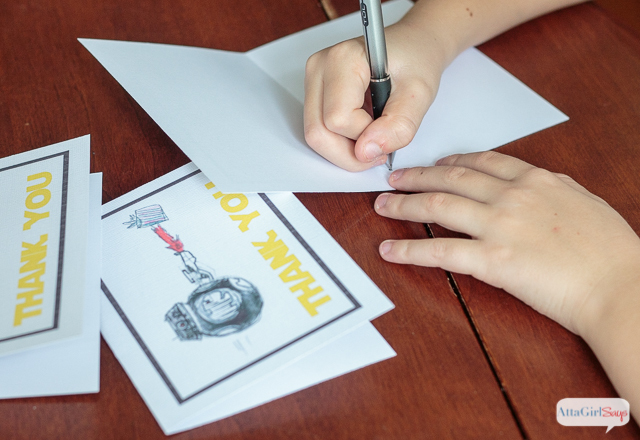 Learn how to create custom thank you cards using your kid’s artwork. 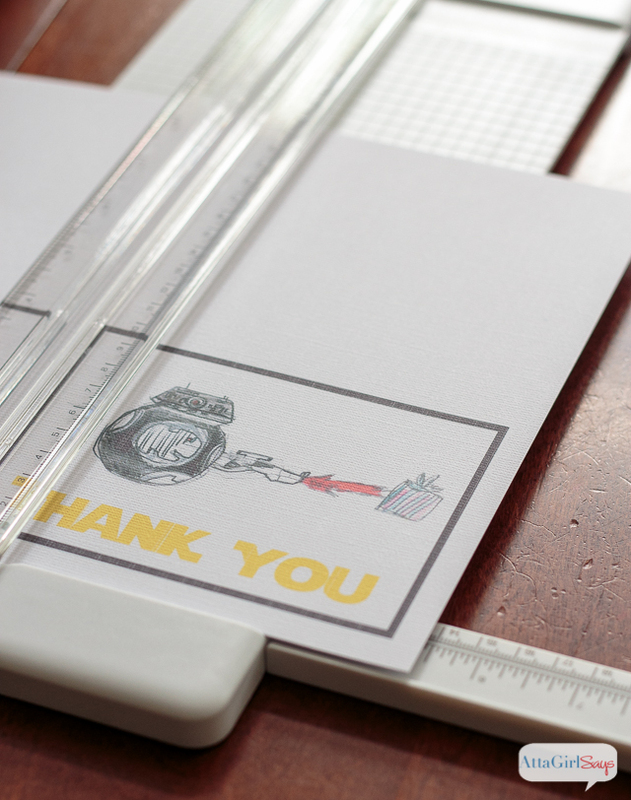 They’ll be excited to write thank you notes on these cards that are easy to design and print at home. I am trying to teach my son gratitude, to be thankful for what he has and for what he receives. One of the ways we practice gratitude is by writing thank you notes when he receives a gift. We recently celebrated Jackson’s 11th birthday. Even though he thanked his friends in person at the party, I still like for Jackson to send a handwritten note of thanks and acknowledgement. As Emily Post says, “it’s always correct to send handwritten thank yous,” whether etiquette requires you to or not. 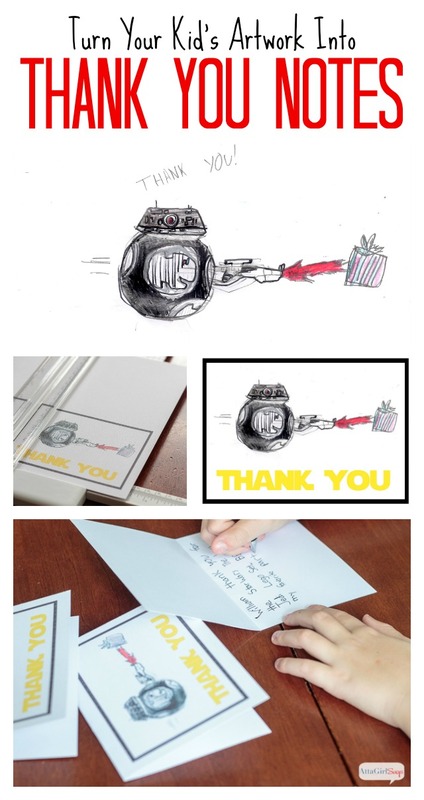 To make the process of sending thanks more fun for Jackson, we created custom thank you cards featuring his artwork. I think his friends will love getting these hand-drawn cards in the mail, and they may even save them to display in their rooms. It’s super easy to create custom thank you cards featuring your child’s artwork or a favorite photo. 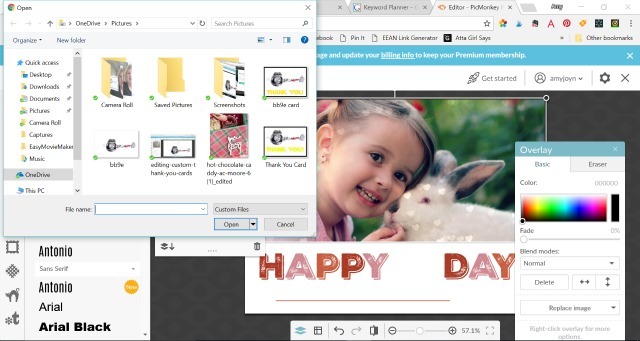 You can design and print the cards at home, even if you don’t have an graphic design skills. Seriously! 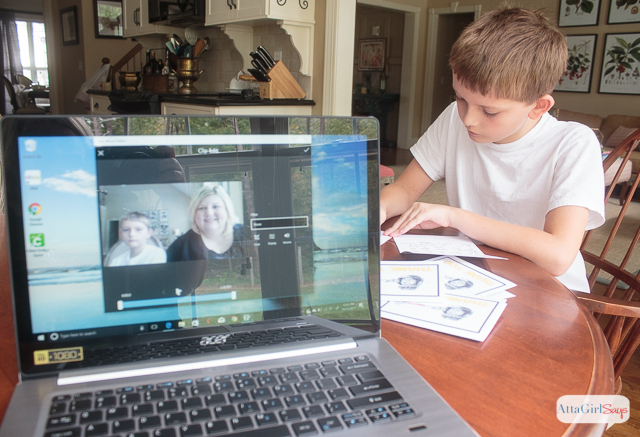 Jackson and I created these cards on our new laptop computer, featuring the new 8th Gen Intel Core processor. 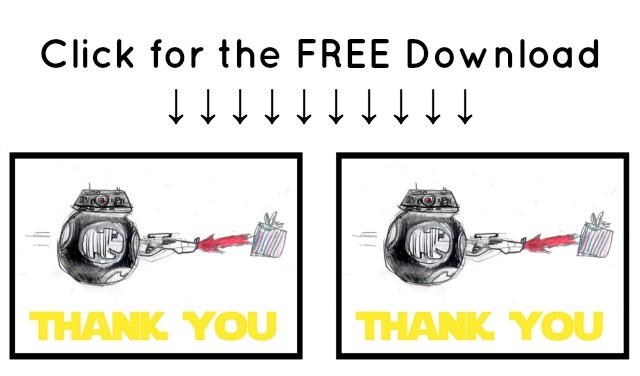 We even shot and edited a video, showing how we made the custom thank you cards, using our new PC, which has souped-up multimedia capabilities that our old laptop and desktop computers don’t have. You can download a printable version of Jackson’s thank you notes here. They’re pretty cool. 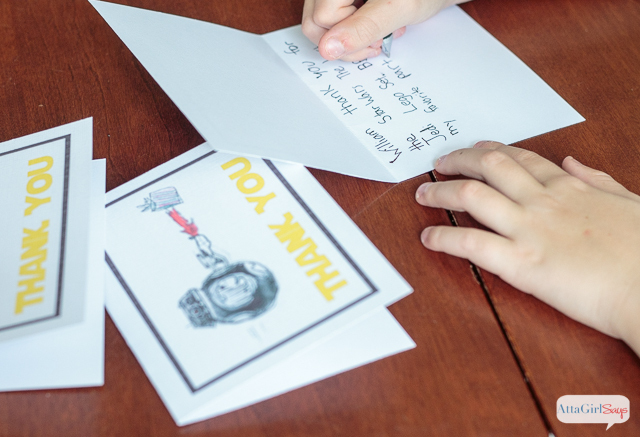 It’s even cooler to make custom thank you cards featuring your child’s artwork. To do so, you will need a high-quality digital photo or scan of the image. If you don’t have experience with graphic design, I recommend using a program like PicMonkey or Canva to create your custom thank you cards. They’re free and easy to use. Jackson and I used PicMonkey to make these cards. Before designing the notecards, I did a little bit of editing to clean up his pen-and-ink drawing and to remove some extra text. But you can skip this step. Once we had his drawing ready, we used a pre-made template on PicMonkey to design our cards. You’ll find the templates under the Design menu. We picked a simple design with elements we could switch out with his drawing and text. There are lots of different design and size options. 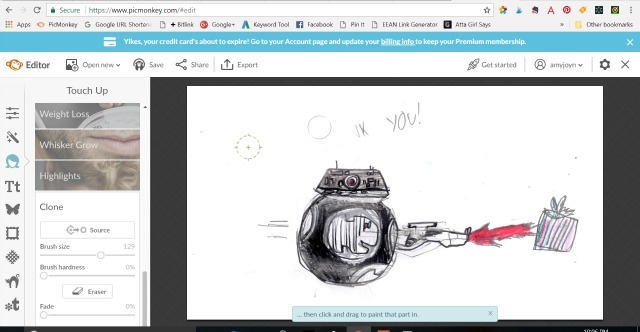 Our video tutorial above walks you step-by-step through the design process using PicMonkey. 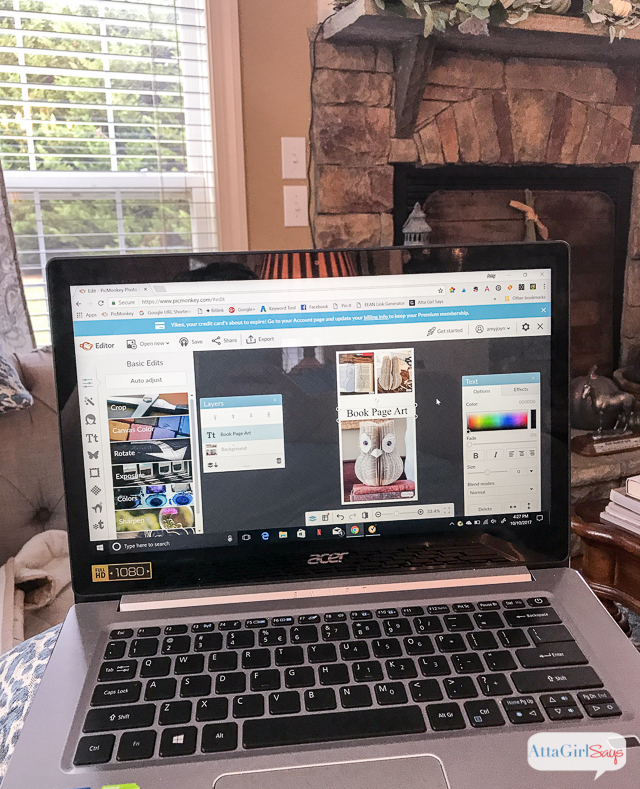 Once you’ve chosen a template, use the layers panel within PicMonkey to change out the elements and delete those you don’t need. Then adjust the text and font to match the sentiment on your cards. Finally, we added an overlay border around Jackson’s drawing to give the card a finished look. Next, we printed the cards, two to a page, on letter-size card stock. We used a paper cutter to trim the printouts, then folded them into cards. 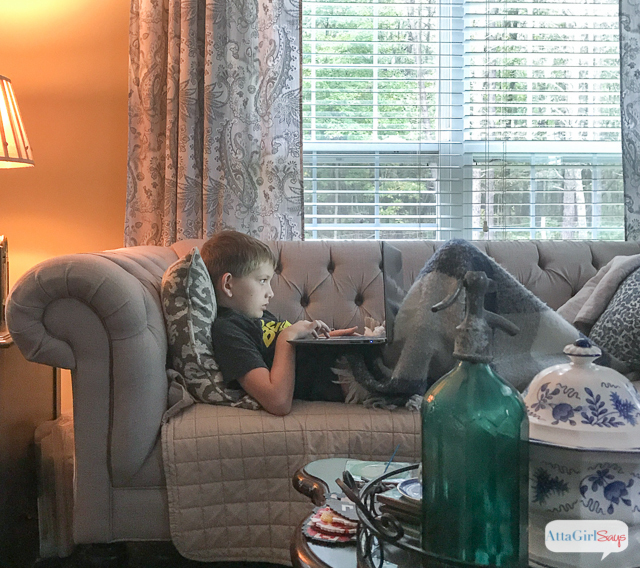 While Jackson was writing his thank you notes, I set up the laptop beside him on the kitchen table and worked on editing our tutorial video so it would be ready to post on my blog and YouTube. I love the flexibility of being able to work alongside Jackson when he’s playing, drawing or doing homework. In the past when I had work to do, I was tethered to my office desktop computer. And that wasn’t an ideal solution for an on-the-go mom and entrepreneur. As much as I love my pretty home office, my schedule doesn’t allow me to work there eight hours a day. We had two older laptops, but they weren’t reliable enough for my business. One is older than Jackson, and moves so slowly. And the other has a cracked case, held together with gold duct tape, with wires hanging out. I was too embarrassed to take it out in public! So, we were long overdue for a PC upgrade. And now I’m kicking myself for not doing it sooner. The new laptop has increased my productivity so much, and not just in terms of being able to work on the go. The new Intel 8th Gen core processor offers a 40 percent performance jump over the 7th Gen, and it offers 2X better performance compared to a 5-year-old PC. And I’m here to tell you, it is world’s faster with better display quality and multitasking abilities than my 7-year-old desktop, our 11-year-old dinosaur and the duct-taped laptop! 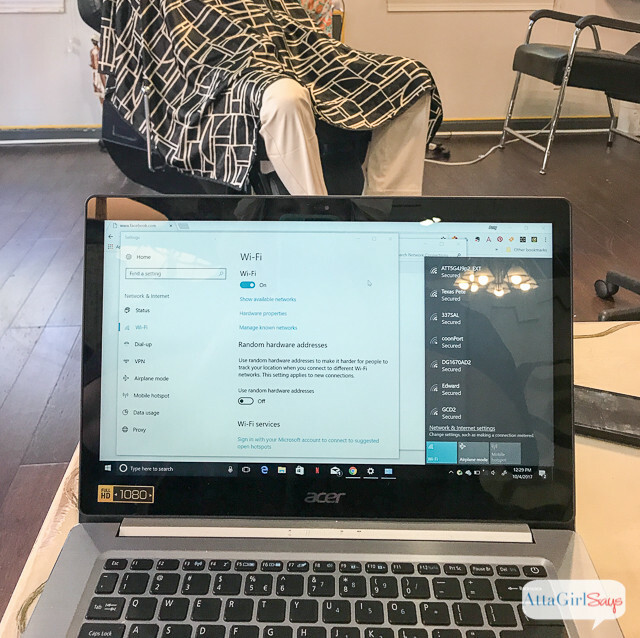 …answering emails while grabbing a quick bite to eat, shopping online for props for a photo shoot, scheduling social media while waiting at the doctor’s office or editing photos on the couch while hanging out with the family. And even after a full day of work, there’s still battery life left (10 hours total!) for streaming a favorite show on Netflix, playing a game or whiling away hours on Pinterest! Looks like we might have to get him his own Intel 8th Gen-powered laptop or 2-in-1 computer. Since Jackson loves drawing and artwork so much, I’m thinking a 2-in-1 with a sketch pen would make an excellent Christmas gift. But don’t tell him I said that!